Every webmaster is looking for ways to improve their website’s visibility, and one great way is by getting listed in the major web directories. This should be a very important part of your marketing strategy online, which many website owners neglect. The only way to grow your online business is if people can actually find you! Some web directories have a free submission option whereas others require some form of payment or reciprocal link in exchange. With the hundreds of various general directories and niche directories you have the choose to submit to – it becomes crucial knowing which directories are worth your time and money. Submitting to directories can be a real time consuming task. Morover, if your handing over your hard earned cash, its wise to know which directories will most benefit you in your linking campaign. Understanding why you should submit to directories will help you identify which one’s are worthwhile. – Directories are an established source of ‘authority’ in regard to various subject matters. Directories are an excellent source of targeted traffic. Even with the advancement of Search Engine technology, the keyword based search method, common to all search engines, is still far from perfect. That is – many search results do not actually match the user’s requirements. Although Search Engines will most likely generate more website traffic to your website, many of those visitors will NOT become ‘customers’, as they had a different requirement when they conducted the search. Thus, it is not enough to simply ‘count’ the number of visitors. One must also look at the ‘conversion rate’. For example, if one source of traffic sends 1000 visitors/day with a conversion rate of 1% and another sends only 100 visitors/day with a conversion rate of 20% – the latter provides TWICE as many ‘customers’ as the former. We can say that the second source provides better ‘targeted traffic’. Web directories are maintained by human editors – in most cases volunteers. Having a real person review your site before inclusion assures only rich content and informative sites will get included. The purpose of a directory is to provide an intuitive and precise category structure. Are you in any doubt as to the nature of sites found in this DMOZ category? It is therefore safe to assume that users who trail through either Directory structure will have a very clear idea of what to expect from sites found there. Such matching of content with user expectation guarantees that the conversion rate of visitors from Directories will be significantly better than standard Search Engines. It would be safe to assume that Link Popularity now plays a significant role in the ranking algorithm of all the major Search Engines. The challenge for site owners and web masters is to increase Link Popularity, which in turn increases the likelihood of pages from their sites appearing high in the search results. One of the best ways to start a link campaign is to get links from Directories. If you put the right amount of effort (and money) into it, you can see your Link Popularity increase significantly in a short space of time. The question is: Which directories are worth paying for? Here’s some pointers to make an educated decision. The first and most important consideration is the link type. There are two types of links: Simple Link (otherwise known as Static Link) and a Redirected Link. You cannot discover the difference by clicking on them — the results are absolutely identical, but from the perspective of gaining link popularity, knowing the difference is vital. A Simple Link is a link that contains the target URL of the site and directly points to it, as in this link: http://www.yourdomain.com. 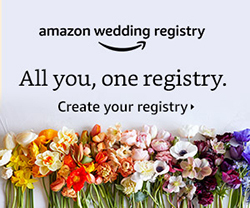 On the other hand, a Redirected Link points to a URL inside the current site, and has a longer URL like this: http://www.thisdirectory.com/jump.php?www.yourdomain.com. You can check the type of links used by a Directory by observing the ‘Status bar’ at the bottom of your browser while hovering your mouse over the links. If your primary objective is to increase your link popularity, then only submit to web directories which use simple links. Obtaining redirected links is just a waste of your time (and money). A good sure way in identifying the type of link a directory uses is to check the PR of its category pages. Redirected link pages will often have no PR. Not all links are created equal – some are more important than others. If you have the Google toolbar installed, it will give you a rough estimate on the page’s ‘importance’, or PageRank (PR), on a scale of 0 to 10. A Directory with a high PR is more important than a Directory with a low PR. Having your link on a page with a high PR will transfer more PR to your site. Invariably, the Home Page of the directory will have the highest PR, but very few (if any) sites will be listed there. What you need to examine is the PR of the specific Category (page) in which your site will be listed to get an idea of the ‘strength’ of vote you are likely to receive from this link. For example, although DMOZ has an exceptionally high PR of 9 on its home page, most of it’s deeper categories have a PR of 4. Also consider the number of outgoing links on the specific category page you wish to be listed on. It’s great if the category page has a PR6, however, if the site is not well maintained and there is hundreds of links on that page, then minimal PR will be transferred to your site. In Summation: Look for Directories which make use of simple links, have high PR category pages, with few outgoing links on the page. This will ensure maximum link popularity will be transferred to your site, which ultimately will boost your search engine rankings. 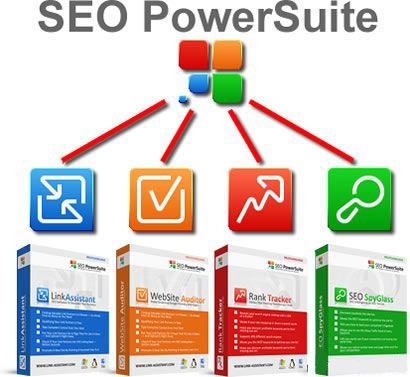 And don’t forget to use a powerful tool like SEO PowerSuit to analyse all the aspects of your SEO strategy! How can you make a good decision when faced with so many options and considerations? The answer lies, perhaps, in limiting the number of directories you submit to. When beginning your linking campaign I feel you should submit to all free niche directories, and select a few paid submission directories that will most benefit you in terms of link popularity and traffic. Most paid directories will require you make a one-time payment between $5-50 USD. This is money well spent. Having to pay for submission will deter most other webmasters, hence there will be fewer outgoing links on each category page – so you gain maximum link popularity and it’s a great traffic generator as visitors browsing the directory can easily find your site without having to wade through hundreds of links.